0/3 Months - $46.99 Only 7 left! Having both a puppy and a baby in the same household can get pretty overwhelming. Even just having one or the other is extremely tiring! Having to keep an eye on the curious lil pup or babe at all times as well as keeping track of everything in your home is a lot harder than it sounds… and it already sounds pretty tough. So having a puppy and a baby at the same time basically seems like an impossible task to take on. However, we think there is a way to have both with literally half the work! 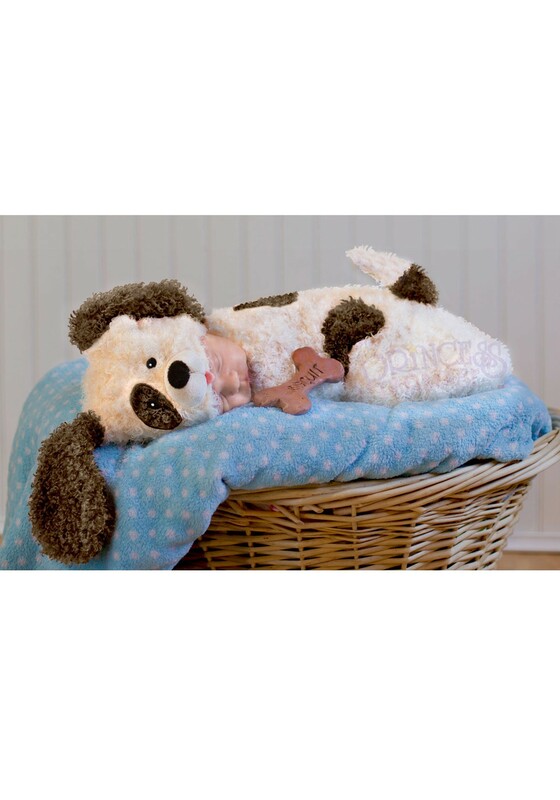 Check out this Cuddly Puppy Infant Costume. The only thing cuter than a puppy and a baby in the same room is your little bundle of joy dressed up in this adorable swaddle bunting and hat combo. You’ll have all the cuteness of both, a puppy and a baby, yet only one cutie to keep an eye on and, in reality, only one mess to clean up… at a time. Whether you plan on taking your infant out and around the block for their first time trick-or-treating or you simply want to capture the most adorable baby pictures anyone has ever seen, this Cuddly Puppy Infant Costume will be perfect! Wrap your bundle of joy up in this spotted bunting and keep his head warm with the precious soft-sculpted and floppy-eared hat. All your friends and neighbors will line up to see the cutest puppy in the neighborhood. Just keep in mind that pacifiers and regular diaper changings will keep your baby happier than ear scratches and belly rubs!